BOTOX® Cosmetic is an FDA-approved drug that is used to temporarily treat dynamic wrinkles of the forehead and eyes to give a more youthful and refreshed appearance. This highly purified, naturally occurring protein called botulinum toxin, works by blocking the nerve impulses to the muscles of the face that produce wrinkling. Over the last ten years, millions of BOTOX® Cosmetic injections have been performed. It has become the world’s most popular cosmetic procedure because of its predictable effects and excellent safety profile. Dr. Rothfield is a board-certified plastic surgeon and has performed thousands of BOTOX® Cosmetic injections. These injections are not relegated to a nurse or assistant, but are all performed by Dr. Rothfield himself to assure the most consistent results. In addition, because fresh BOTOX® Cosmetic is essential to achieve the longest lasting results, all patients receive BOTOX® Cosmetic that has been freshly mixed. Treatment involves several injections with a tiny needle. Patients describe the injection sensation as that of a bug bite, or a burning or crunching feeling. No sedation or anesthesia is necessary and normal activities can be resumed immediately that same day. Occasionally, patients will experience bruising in the injected areas. The effects are typically seen one to five days later. All patients are given the option to return a week later for a complimentary touch up if it is necessary. 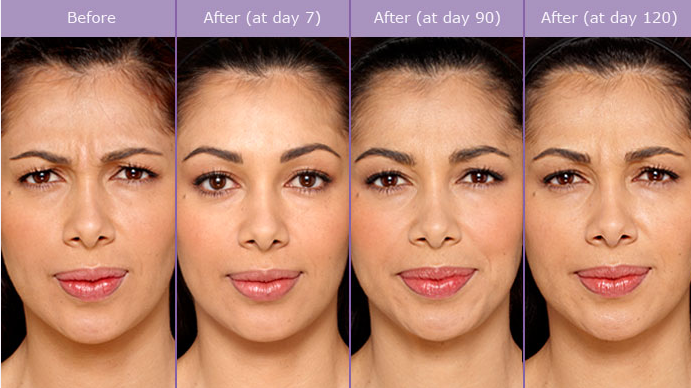 The effects of the BOTOX® Cosmetic injections last three to four months and in some cases even longer.